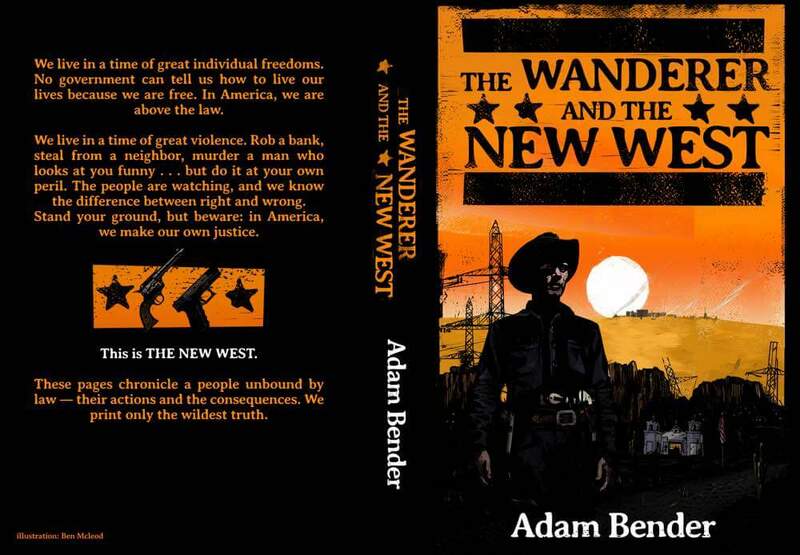 Adam Bender's debut novel takes place in the Wild West. According to him, the landscape of self-publishing bears some similarities with that setting. 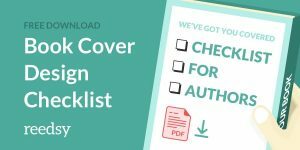 In this article, he talks about how professional book cover and interior designers helped him successfully navigate this new territory. In my new novel, The Wanderer and the New West, a gunslinger goes it alone, fighting injustice in a near-future American West that fully protects the rights of armed citizens to stand their ground. Over the course of his adventure, however, the Wanderer learns the importance of allying himself with the right people. 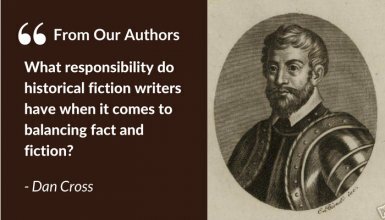 In this new frontier of self-publishing — which can often feel a little like the Wild West — it’s easy for authors to take that word “self” a little too seriously. We say: “I’m a good writer — I can edit myself!” Or, “My teacher gave me a gold star sticker in art class – I can design my own book cover!” Then there’s that dark rider on our tails called self-doubt. 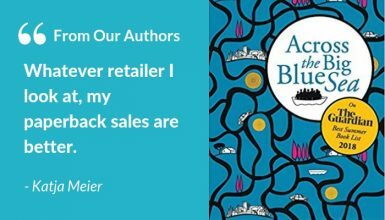 We buy into the mindset that if literary agents don't jump at the opportunity to represent our novel, then it's not worth our own investment in good production or marketing. While those inclinations may save some cash, they’re unlikely to do a novel any justice. 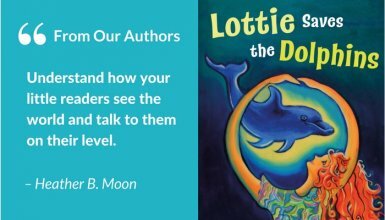 Few writers can do it all, and there’s no shame in asking other to contribute their expertise to make a book what it needs to be. 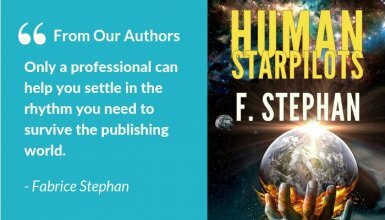 Authors, editors, designers — we’re all adapting to the changing publishing industry together, and assembling a good posse is key to success. After finishing The Wanderer, I used Reedsy to connect with professional collaborators to help me produce a novel that could stand side-by-side with traditionally published books. 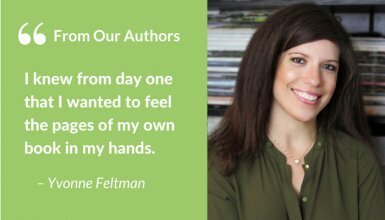 Many self-published authors still hold out in investing in professional design services. As good as a story may be, readers do judge books by their covers — and are easily turned off by sloppy interior layouts too. 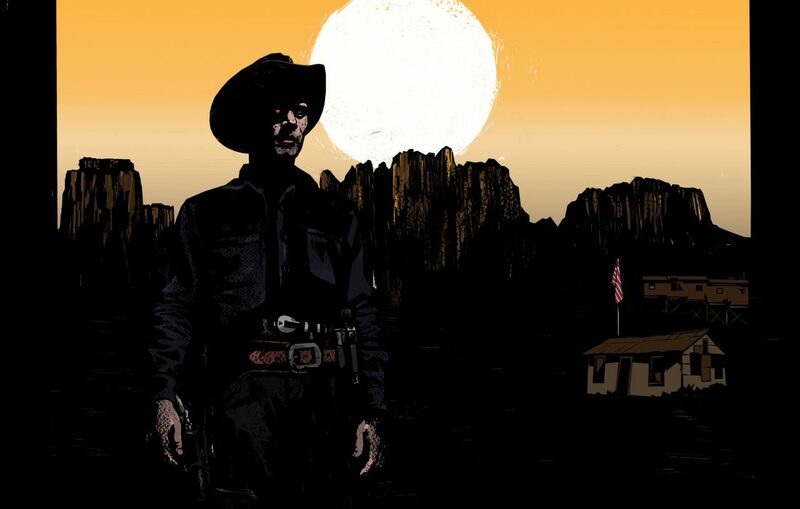 For my book cover, I wanted a pulp or graphic-novel style that would say to readers: “This is a Western, but it ain’t your grandpop’s Western.” That’s when I found Ben Mcleod. Ben’s profile revealed he liked all the pop culture I was into, and the samples in his portfolio had this gritty epic style that looked ready for an oversized poster. I asked for a quote, and Ben quickly got back to me with an enthusiastic pitch and a reasonable price. I didn’t think twice. The main character: the Wanderer. I emphasized his two guns (one classic and one modern) and his computer-powered eyewear. The setting: a small, modern-day town in Arizona. I mentioned that a Saguaro cactus or great red rocks in the landscape would work. I also mentioned a church that plays a pivotal role in the first chapter. Important symbols: guns, trains, stetsons, and the American flag. The book jacket looked great, but I still needed someone to lay out the interior and convert the whole thing to an eBook. This is something authors sometimes don’t spend enough time on because the inside of a book is “just text” and may seem unimportant. Not so! 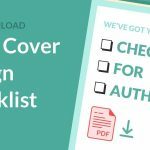 A book that doesn’t follow industry standards for spacing, headers, page numbering or countless other minor details will look majorly unprofessional. Mark Thomas came highly recommended by others on Reedsy. 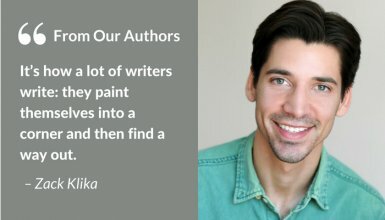 Ben had also worked side-by-side with him for another author and went the extra mile of asking the author for feedback on Mark — which was all very positive! After accepting the offer, I sent Mark my edited manuscript and the name of the font Ben used for the book title. 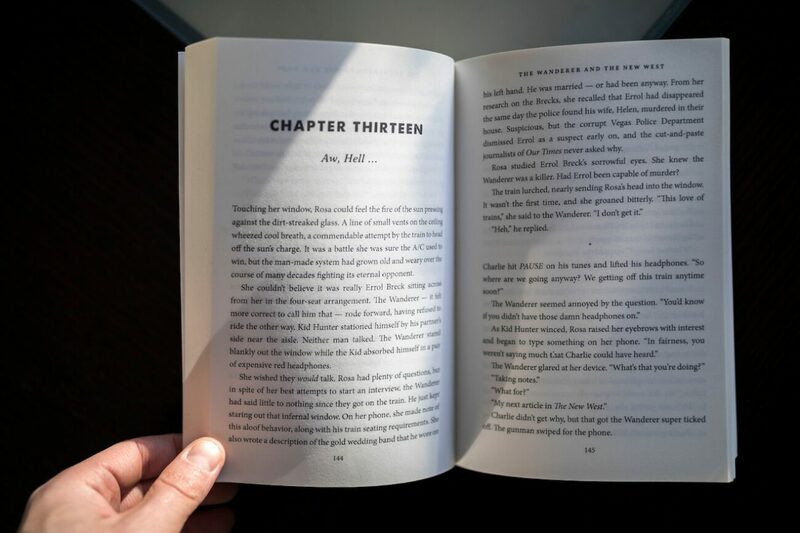 I flagged some of the more complex elements in the novel, including blog-style interludes and tweet-style passages, and Mark suggested special styles to make this work without over-complicating the look of the book. Mark sent me a draft of the interior and asked me to scan for problems. It looked great, but we went through a few rounds weeding out little imperfections. He responded quickly and in days we had a PDF ready for printing. 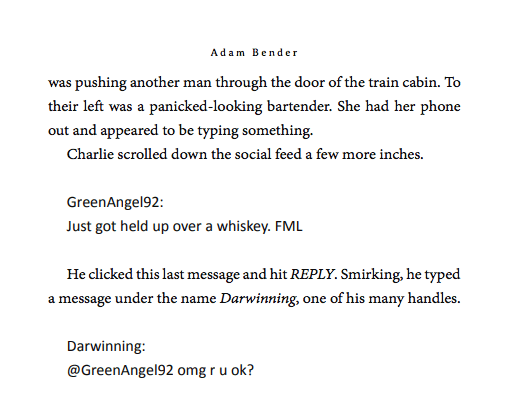 He then helped me convert the print book into an eBook fit for a Kindle. This isn’t as simple as sticking the print version into an app and clicking “Change to eBook.” Some elements had to be simplified to work for digital reading. There were a few bugs, including some issues related to page breaks and spacing, but Mark quickly sorted them out. I was just glad it wasn’t me poring over the code! The Wanderer passed a big first test when I received the proof of the paperback. The first thing I thought when I saw Ben’s cover was, “Hey, this actually looks like a book I’d want to read!” And when I opened it up, it looked like a real book too! I could see that the work of my diligent editors, Rachel Gluckstern and Jim Spivey, and Mark’s clean layout had been worth the investment. Soon afterward, I scored a starred review from Kirkus Reviews and five-star ratings from five separate critics who reviewed the novel early on Readers’ Favorite. I couldn’t have done that without my gang of Reedsy collaborators. Not only did using Reedsy pay off for this novel, but the professional relationships I’ve built will continue to be valuable down the road. Even after finishing their jobs, my collaborators have been available for advice, and they’ve helped spread the word. Next time I venture out into the self-publishing frontier, it’s heartening to know I won’t be riding alone. 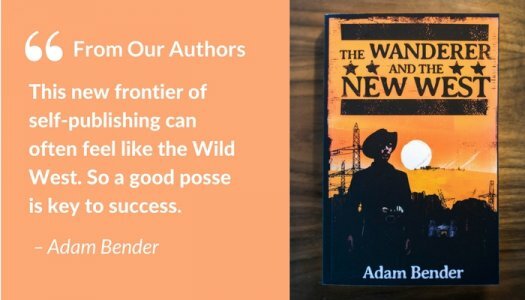 The Wanderer and the New West is available on Amazon and Amazon Kindle! Please share your thoughts, experiences, or any questions for Adam Bender in the comments below! 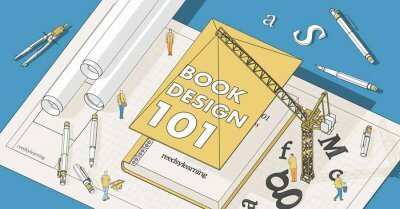 Need help perfecting your book design? We've got you covered.